If you have received a summons complaint or a crime in Tabernacle Township, you can expect to have a mandatory court appearance at the municipal court. Whether your case involves driving under the influence, disorderly persons offenses or serious traffic tickets, the Tabernacle Municipal Court will have jurisdiction over your case. 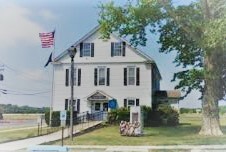 Common cases heard at the Tabernacle Municipal Court include simple assault, harassment, Driving While Suspended, Leaving the Scene of an Accident, theft of services, possession of drug paraphernalia, marijuana possession and CDS in a Motor Vehicle. For more information on your criminal charges, contact our office at (609) 850-8284. Our office focuses its practice on criminal defense litigation throughout New Jersey. Our team of attorneys have handled thousands of criminal cases throughout their respective careers and are prepared to consult with you regarding your matter. Call today for an immediate consultation with a criminal defense attorney. Our firm is available 24/7 and the initial consultation is free of charge. For more information on the Tabernacle Municipal Court, please visit the municipal website. Being charged with a crime, DWI or serious traffic violation is never an enjoyable experience. Most people want to avoid the situation altogether and simply plead guilty to avoid the confrontation and embarrassment. This is a mistake. Certain crimes and traffic offenses carry up to six (6) months in the Burlington County Jail and a 10 year suspension of your driver’s license. On top of these devastating penalties, you will also be saddled with a criminal record. This means that future/current employers, schools and professional licensing boards will have access to this information and possibly use it to your disadvantage. At the very least, you could consult with an experienced Burlington County Criminal Defense Lawyer about your charges before you appear in court. Even if you decide to handle your case pro se, a consultation with a defense lawyer can provide you with key insight and strategies to assist you in court. Our firm has found success over the years in our zealous advocacy skills and litigation techniques. If you have a court date at the Tabernacle Municipal Court or Burlington County Superior Court, call our Office today for an immediate consultation with an attorney today. We can be reached night and day at 609.850.8284.